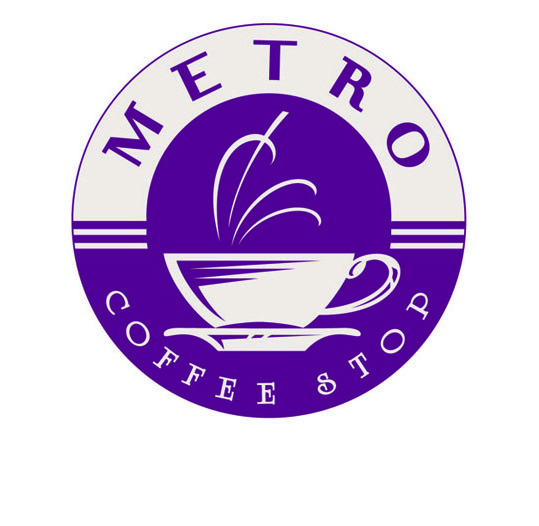 To create an identity for a mock coffee shop. This artwork had to work well on a travel cup as well as identify the store. The main obstacle was time and no shortage of work. This scene set was added to our episodic shooting schedule. Construction and Paint needed to build this set before we wrapped out and this artwork was one of several projects required. 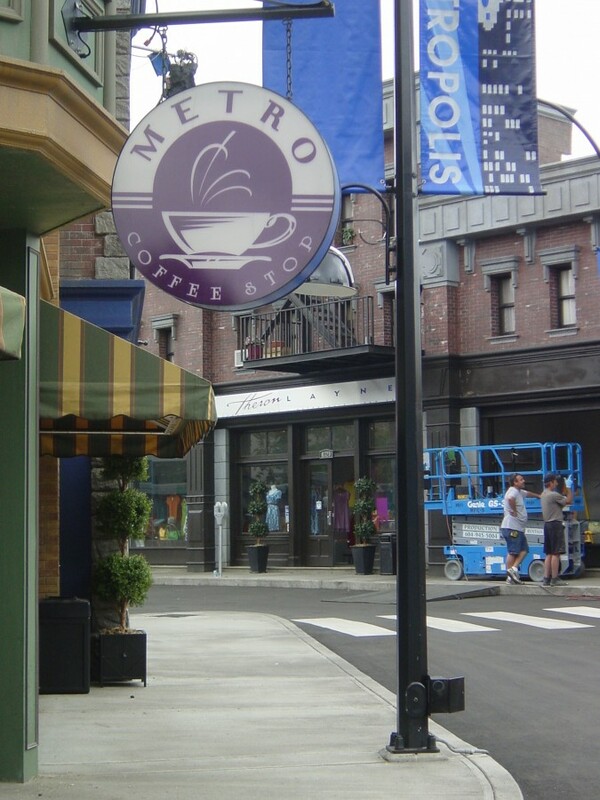 This final logo was used as window dressing as well as a backlit double-sided hung sign outside a mock coffee shop company on a Metropolis Street scene in the Warner Bros./CW Network television series “Smallville” Season VII.